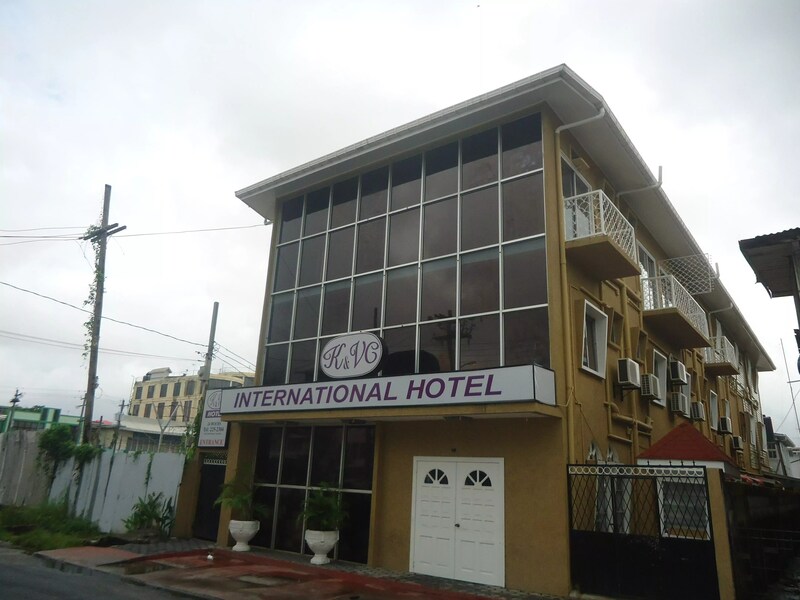 The lifeless body of a 31-year-old woman was found sprawled on the bed in a room of the K&VC Hotel on South Road in Georgetown on Sunday morning. The body had multiple stab wounds. The woman has been identified as Maryann Nauth. No last known address has been provided for her. According to the Police, the woman’s body was found with a knife stuck in the chest. She had at least 28 other stab wounds to the body. Hotel staff members were silent on the incident on Sunday morning when News Source visited the scene. Some staffers were seen cleaning the dining room area and it appeared as business as usual. The woman’s body was discovered around 2 o’ clock on Sunday morning and by 8 am, police investigators had already completed their initial probe and the business was reopened. Though the hotel was still open for business, it’s security officer was told to close the gates and doors and to only allow “customers looking for business”. Reports indicate that the woman checked into the hotel late Saturday night in the company of a man. Just before 2 am, the man was seen leaving the hotel. the woman’s body was found moments after. It’s unclear whether investigators have been able to identify the man since at many city hotels that rent rooms by the hour, customers would not have to provide their names. A police source said they are trying to locate relatives of the dead woman. According to the source, the woman was known to be a frequent guests at many Brazilian bars in the city. The woman was pronounced dead at the Georgetown Hospital and her body was transferred to the Lyken Funeral home. 8 Responses to "Woman stabbed to death in city hotel"